These 8 easy-to-update settings will customize Alexa to make her work better for you. Each one should take only about 30 seconds to 1 minute to update — time that I promise will prove to have been well spent! If you’re like me, you want Alexa to be as unobtrusive as possible. In Brief Mode, Alexa gives shorter replies and sometimes just plays a sound to signal she heard your request. 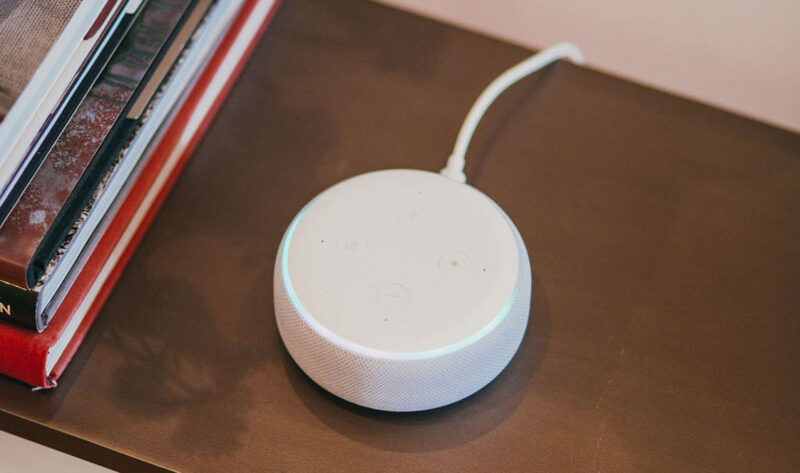 Your Echo is a smart speaker, so it’s a must to link your preferred music service account to Alexa. A side note: the default is Amazon Music. If you have an Amazon Prime membership, you’ll get ad-free access to 2 million songs for free. The best way to get your daily news on Alexa is with 2 – 3 minute Alexa flash briefings. You’ll want to customize your flash briefing with the news sources you actually want to hear from. “Alexa, what’s my sports update” will tell you the latest news and scores for your favorite sports teams… but only if you tell Alexa who they are! In order for Alexa to tell you about the traffic, she needs to know your daily commute. Shopping with Alexa is an unbelievable time saver. Plus, enabling voice purchasing will let you easily make in-skill purchases just by asking Alexa (for things like game hints or to unlock more songs or stories). Pro Tip: You can also require a 4-digit voice code to confirm Amazon purchases and payments (this might be helpful for those of you with little ones!). A side note: you’ll need to have an Amazon Prime membership to take advantage of this feature. See How To Buy Stuff with Alexa and Why You Should Try It for more details. It’s super helpful to be able to ask “Alexa, what’s on my calendar tomorrow?” Plus, if you have an Echo with a display, it will show your upcoming events.